Our doctors treat a wide spectrum of muscle, joint, and spinal problems, including the evaluation of underlying digestive and endocrine dysfunction that often disrupts the healing of muscle, joint, and spine conditions. The Heritage Integrative TM approach combines both traditional medical and advanced diagnostics with complementary integrative therapies and techniques. We provide additional support for patients with chronic pain complicated by digestive and endocrine disorders. Incorporating traditional movement analysis with hands on muscle testing, the treatment of muscle patterns improves mobility, flexibility, and coordination. Very beneficial in the reduction of chronic pain. Chiropractic is a safe, proven, and effective alternative treatment utilized by trained Doctors of Chiropractic to remove restriction and correct alignment problems of the spine and extremity joints. Peer-reviewed research supports the use of Chiropractic for pediatric development and adult health, primarily muscle, joint, and spine disorders. Chiropractic Doctors are additionally licensed to order and interpret diagnostic tests and laboratory evaluations. Traditional practice includes medication-free, non-surgical alternatives, plus therapeutic and rehabilitative treatment including nutritional, dietary and lifestyle counseling. In today’s chemical based and synthetic foods society, what we eat and drink can often be a contributing factor to certain disorders and medical conditions. A clinical nutrition evaluation reveals the connection between the complex interaction of your body and the environment in which you live. Scientific based treatments following laboratory analysis of blood and urine offer insight to symptoms such as fibromyalgia, chronic fatigue, migraine headaches and hormonal imbalance. Stress, tension and injury often cause alignment problems of the spine, skull and tempromandibular joint (know as TMJ), disrupting the movement of the cranial bones and circulation of cerebral spinal fluid. Our specialty trained cranial-sacral therapy releases restriction and restores balance of the cranium, TMJ and spinal dura. Using hands on pressure, this treatment applies firm but painless pressure on key points on your body to release muscular tension, promote blood circulation and activate the body’s natural self-healing capabilities. This can help alleviate a wide range of common painful conditions such as headaches, digestive discomfort, lower back pain and much more. Rehabilitation and restoration of the muscular system is the primary goal for stabilizing orthopedic conditions of the spine and joints. 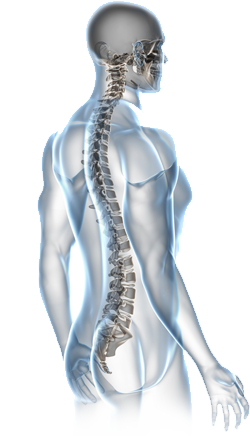 Our Chiropractic doctors are extensively trained in the evaluation and treatment of spine and joint injury. The Heritage Integrative approach combines both traditional medical and advanced diagnostics with integrative therapies and techniques to ensure the highest treatment outcomes.